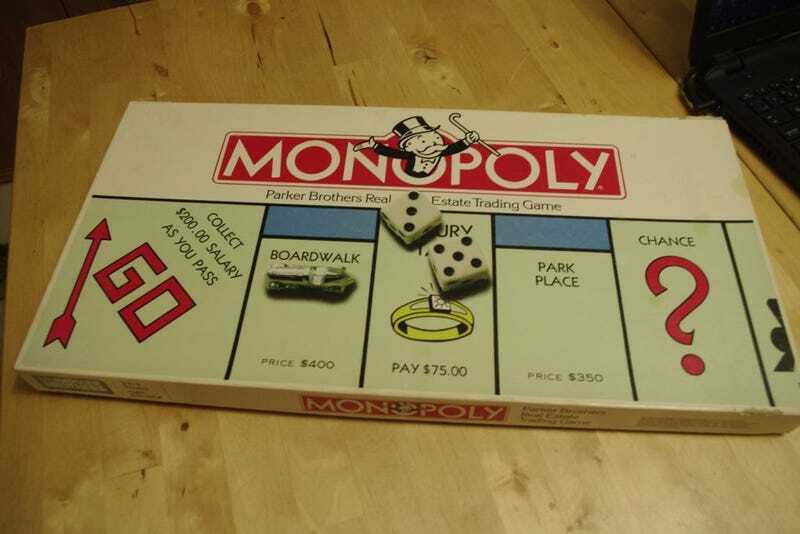 At one point in your life, you’ve probably played Monopoly. If want to learn how to ruin the game so that you and your friends will never want to play again, here’s how. Imgur user Elpher gives a step-by-step guide, which I encourage you to read. However, the gist is that you want to create a housing shortage. By creating a housing shortage (there are only 32 houses and 12 hotels), the other players would not be able to improve their properties to charge high rents and so would begin their deaths by a thousand cuts. Early in the game, you need start a monopoly. Elpher then recommends putting three houses on each of these properties. After that, you need to get a second monopoly, which can be by convincing other players to sell you theirs, and put enough houses on them to create a housing shortage. The goal here is not to upgrade to hotels! Do not do that. The goal is to break the damn game before the other players figure out what’s going on. Even if you only get six properties and put three houses on each, you’d end up with 18 houses, which is more than half of the whole supply. Put four houses on those six properties, and you’ve got 24 of the 32—that’s 75 percent the whole supply. Once you’ve amassed two monopolies, build those houses, you leave them there, and ruin the Monopoly experience for you and your friends forever. Be sure to read Elpher’s full walkthrough which contains even more details on how to destroy the game and make other people sad.